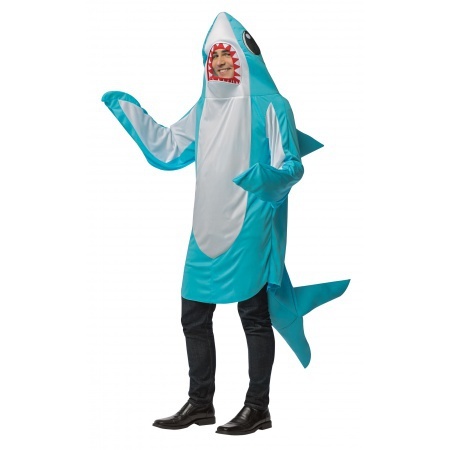 The blue shark costume includes pullover one piece shark body suit with fins and tail. 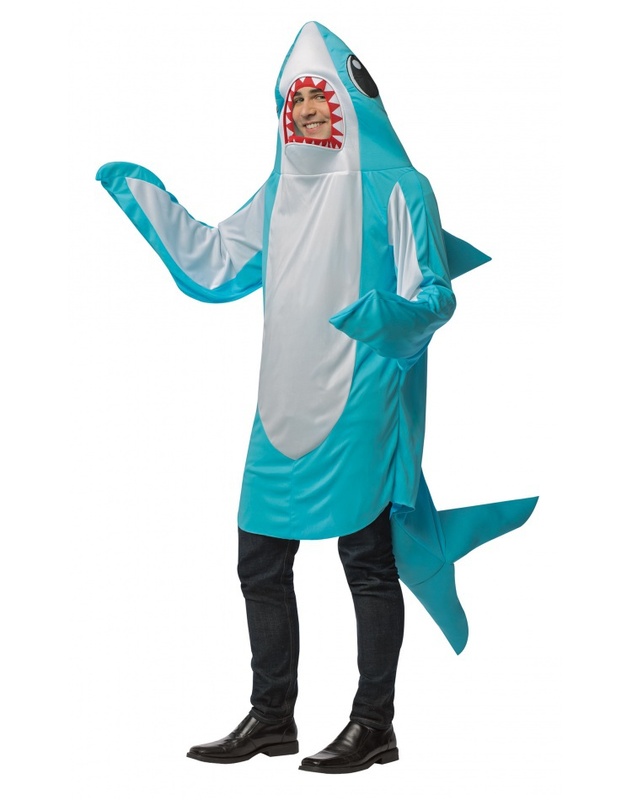 This blue shark costume comes in adult size One Size. The pants are not included with the blue shark costume.